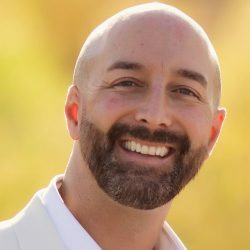 Looking to buy a home in Peoria AZ? Browse the most up to date listings for all homes for sale in Peoria AZ. This home search is updated daily for the most current information. 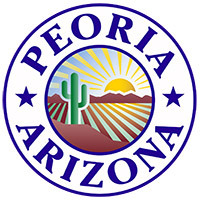 Peoria is currently the 4th largest city in the state of Arizona in terms of land area and the 9th largest city in the state in terms of population. The city was named after Peoria, Illinois. It is the Major League Baseball spring training home of the San Diego Padres and Seattle Mariners, who share the Peoria Sports Complex. Peoria, AZ continues to grow successfully. In 1999 most of the land around Lake Pleasant Regional Park was annexed into the city. Peoria has gained a world-class educational and cultural destination: the Challenger Space Center of Arizona. In 2007, the city completed the Peoria Center for the Performing Arts. Today, most of the city’s growth is taking place in North Peoria but the city is also moving forward with some detailed plans to help revitalize the city’s historic center. In 2003, the city created a Drought Contingency Plan and the Arizona Department of Water Resources (ADWR) awarded Peoria as having a 100-year Assured Water Supply. Additionally, Peoria became the first city in Arizona to use water availability rather than land mass for growth projections. Through separate development agreements, the city has managed to designate over 4,000 acres of mountain preserves and open space to be enjoyed by all of Peoria. Between 1990 and 2000, Peoria was the 5th fastest growing city in the United States, with a population of over 100,000 – increasing in population by 114%. In 2004, Peoria was home to over 130,000 residents spread out over 170 square miles. Peoria’s identity is more related to resort and leisure living, as that lifestyle migrates from the Northeast Valley to Peoria. Peoria’s economic plan focuses on establishing the new Loop 303 freeway corridor as an industrial, commercial, mixed development use, and less on traditional residential development. In July 2008, Money Magazine listed Peoria AZ in the Top 100 Places to Live. Peoria Unified School District (PUSD) elementary schools within the city limits are: Alta Loma, Apache, Cheyenne, Cotton Boll, Country Meadows, Coyote Hills, Desert Harbor, Frontier, Ira Murphy, Lake Pleasant, Oakwood, Oasis, Parkridge, Paseo Verde, Peoria, Santa Fe, Sky View, Sun Valley, Sundance, Vistancia and Zuni Hills. Deer Valley Unified School District (DVSD) elementary schools within the city limits are: Terramar and West Wing. For more information about Peoria, AZ please visit Wikipedia.